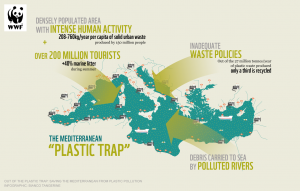 Today, plastic represents 95 per cent of the waste floating in the Mediterranean and lying on its beaches. Most of this is released into the sea from Turkey and Spain, followed by Italy, Egypt and France, with tourists visiting the region increasing marine litter by 40 per cent each summer. Large plastic pieces injure, suffocate and often kill marine animals, including protected and endangered species, such as sea turtles and monk seals. According to the report, delays and gaps in plastic waste management in most Mediterranean countries are among the root causes of plastic pollution. Out of the 27 million tonnes of plastic waste produced each year in Europe, only a third is recycled; half of all plastic waste in Italy, France and Spain ends up in landfills. Recycled plastics currently account for only 6 per cent of plastics demand in Europe. 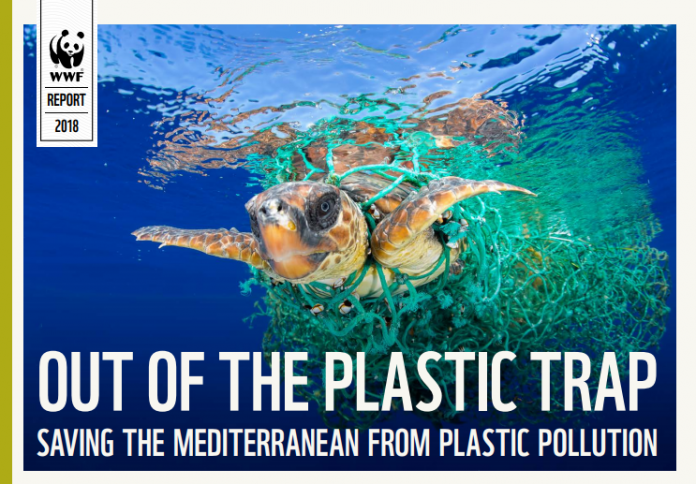 WWF is urging governments, businesses and individuals to adopt a number of actions to reduce plastic pollution in urban, coastal and marine environments in the Mediterranean and globally. The NGO is calling for the adoption of a legally-binding international agreement to eliminate plastic discharge into the oceans, supported by strong national targets to achieve 100 per cent plastic waste recycled and reusable by 2030 and national bans for single-use plastic items such as bags. It also wants businesses to invest in innovation and design toward more effective and sustainable plastic use. The European Commission has recently tabled a proposal that will halt pollution from single use plastic items and derelict fishing gear. Karmenu Vella, Commissioner for Environment, Maritime Affairs and Fisheries said the European Union is supporting strong international ocean governance and is aiming to prevent marine litter at source.